Now that the year is over and I’ve read everything I’m going to read in 2012, it’s time for some favorites of 2012! Despite the number of books read being lower than normal and not having read many books I loved during the first half of the year, it ended up being a quality year overall. Of course, I read books I didn’t like and even didn’t finish two books (not finishing is rare for me), but there were a lot of books read that I did enjoy. 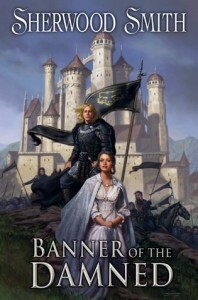 Many books in this post were already mentioned in my Smugglivus post, but this post does include more books and is split up by books published in 2012, 2012 debuts, and books published before 2012. 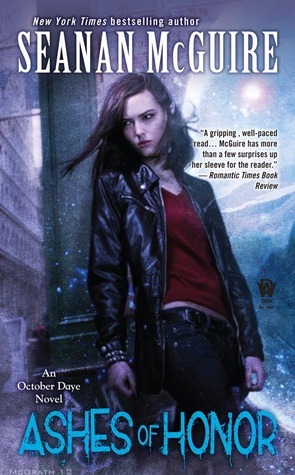 The order may also be different than in my guest post at The Book Smugglers since I hadn’t quite figured out the order yet other than my top 3 and just picked a few of the 5 that came after them to write about. Nearly 3/4 of the books I read this year were released this year, which is more than normal for me. Here are the ones I loved the most. 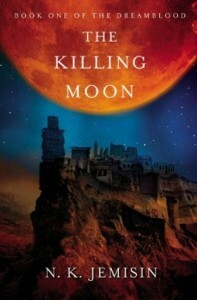 N. K. Jemisin’s debut, The Hundred Thousand Kingdoms, made me an instant fan of her work, and The Killing Moon is her best book I’ve read so far. This is one of those books that excels at everything (writing, storytelling, world-building, and characterization are all fantastic). The opening chapter detailing a night in the life of a ninja priest completely hooked me, and it only got better from there. There’s a lot of depth to the main characters, and I appreciate that each seemed shaped by their life events. I could understand the different perspectives of each, even when they differed from each other. The setting based on Egypt was well-developed, and I just loved everything about this book. It’s a definite keeper. I love Elizabeth Bear’s books, and this is my favorite by her I’ve read yet. 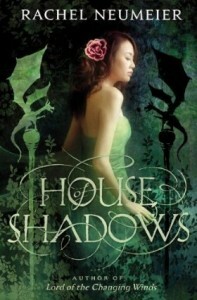 It’s another book that does everything well from storytelling to writing to characterization to world-building. 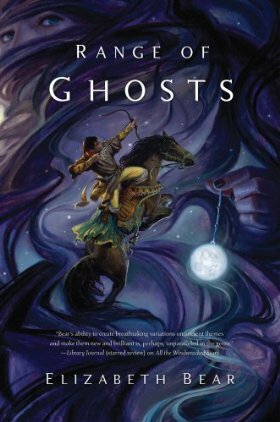 Range of Ghosts, set in a fantasy world based on Central Asia, starts with a power struggle. Temur’s uncle killed his family, and now he’d like to remove Temur, who comes before him in the line of succession for the title of Khagan. It’s mainly the story of Temur and the once-princess Samarkar, who bravely undergoes the sacrifice required to become a wizard. I loved how it defies some common tropes (I’m thinking of a particular scene but don’t want to spoil it for anyone! ), and the magic with its basis in real-world knowledge was amazing. It’s one of those books that’s wondrous yet real, and it has a vivid world because of how it treads that line between wonder and reality. 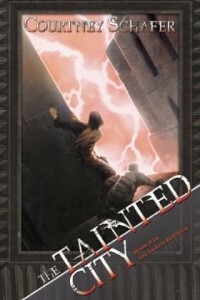 The first book in this trilogy, The Whitefire Crossing, was enjoyable, but The Tainted City was spectacular! My top 3 books were easy this year since they’re all very different books but share a similar excellence when it comes to world-building, characters, and storytelling. Out of the three, this was the one with the most memorable characters, and I really appreciated that I understood the motivations for each character. I like to see villains who aren’t stereotypical people whose only thought is on being EVIL, and I loved the portrayal of one of the villainous characters in this book because he wasn’t that. He was ruthless and despicable, but he was also able to care about the well-being of those he considered his family. There was so much tension that kept me turning the pages in this book, and the contrast between the two main places it was set in were interesting (a desert in which mages were given freedom and another country where magic was highly restricted). 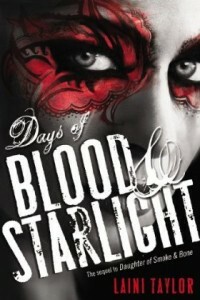 This is a superb novel, and it’s only the second book by Courtney Schafer. She’s now joined the list of authors I will read anything by! 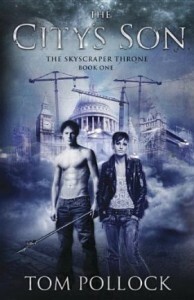 Speaking of authors I will read anything by… Laini Taylor has been one of them for awhile. 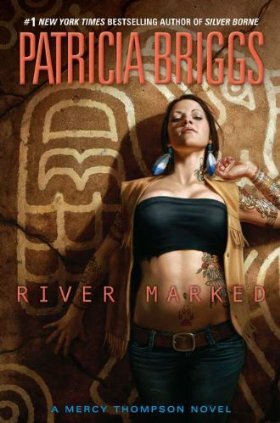 Her writing is poignant and beautiful, and the second book in the Daughter of Smoke & Bone trilogy is alive with vivid imagination. 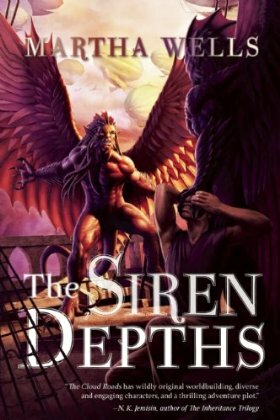 This book is a dark examination of war between the seraphim and the chimaera showing the lives of some individuals on both sides of the conflict. The characters and the situations that drive them are complex, and each side in the war contains some people capable of goodness and some who are very evil indeed. I usually struggle with short stories and lose interest in reading them after reading 2 or 3 so I never would have expected a short story collection to be on my list of favorite books during any year. That one is on my list is a testament to the beauty of Patricia A. McKillip’s writing! 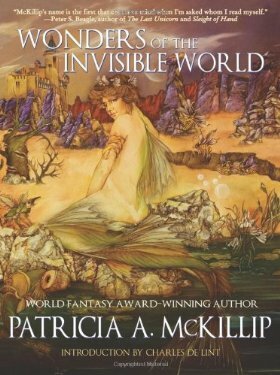 Wonders of the Invisible World has a wide range of stories from fantasy to science fiction and even contemporary, some more serious and some more light-hearted and even a bit humorous. She writes spare but beautiful prose, and her stories are thoughtful and reflective. This book made me want to read more of her huge backlist, and I’m hoping to made some progress with that in 2013! Rachel Neumeier is another author whose work I’d never read before this year whose backlist I’d now like to read—and that’s all because of this book! House of Shadows is an enchanting, character-driven story with intriguing magic, secrets, and a bit of romance (but it has other types of relationships, like that between the sisters Karah and Nemienne). The writing is lovely, and two of the characters really shone. I loved Nemienne for her vast inner strength, courage, and sharp mind. She was the one of her sisters who seemed to have no talent in the world, but she finally found one when she set out to help save the family. Taudde, the bard with a secretive past, was a multifaceted character put to the test who ended up being the character I liked best of all. Last year I discovered Martha Wells with the first book in this series, The Cloud Roads. This third installment in the Books of the Raksura is my favorite of the series since it answers some of the questions in the first book in a very satisfying way. The shapeshifting Raksura and their customs and roles are fascinating, and this is one of those series where the characters just become more endearing with each installment. 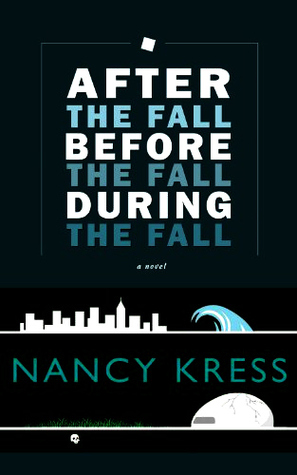 The October Daye series just keeps getting better and better, and this installment was so satisfying. It keeps up both pacing and character development, and it is humorous, emotional, and exciting. I was on the edge of my seat nearly the entire time I was reading it! Sherwood Smith is the third new-to-me author I read this year that I now want to read much more by. This is a maturely written fantasy novel with richly detailed world-building. There’s a focus on the everyday lives of the characters, and there are a lot of quiet moments, but there are also some pretty intense scenes, especially toward the end. It had a wonderful narrative style that drew me in, and I also really enjoyed how it depicted the kingdom and other countries it had dealings with. I was really impressed by how much was packed into this short book. It’s simply written, but it manages to create tension from the opening scene that doesn’t let up until the end. As the name implies, it’s the story of what happens before, during, and after an apocalypse, and there’s a lot of suspense about what exactly happened. I read 7 debuts published this year, and the one at the top of the list is the only one I loved. It was one I was considering for either the ninth or tenth spot on my favorites list, but I ended up deciding the other books were more memorable to me. There were 3 debuts from 2012 I read that were interesting enough that I’m curious about what the authors will write next, and I’m including those 3 here. 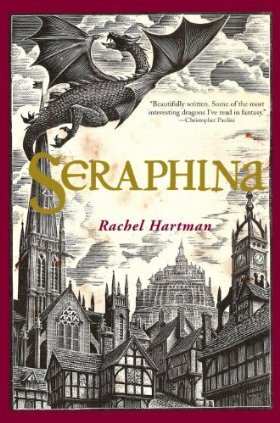 I just finished this one within the last week and haven’t had a chance to review it yet, but I now understand why so many people have been talking about Seraphina. It’s a wonderful story about a heroine who carries a dangerous secret. 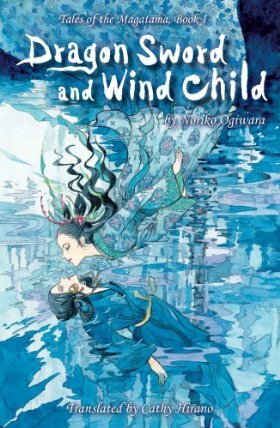 It’s well-written, and it’s set in an interesting world where humans and shape-shifting dragons are technically at peace but still harbor animosity toward each other. Seraphina is easily my favorite debut of 2012. This is an incredibly creative, unique urban fantasy featuring the son of the Goddess of the Streets of London and two amazing young women, Beth and her best friend Pen. It’s dark and it got my attention because of its inventiveness and surprising ending. I think the author really took some risks with this one, and I also think they paid off and the book is memorable for that reason. Since I was bored at times for the middle part of the book, I didn’t LOVE this one, but I did find it well worth reading for its creativity and themes. This is another book that’s in my “to-review” pile, and another one that’s really unique. It’s an interesting world containing necromancers and gods, and I really appreciated the intelligent characters (who were actually intelligent, not just characters we were told were intelligent). This was another one with an unexpected, great ending that delighted me. Like The City’s Son, I didn’t love this one because it was a bit boring to me at times. 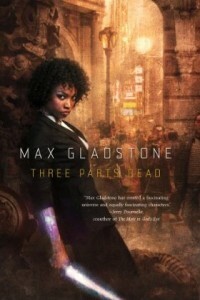 BUT there’s a lot to appreciate about this book’s writing, characters, and world, and it’s just plain different so I think it’s another very good debut worth mentioning (and I would like to read Max Gladstone’s next book because it has so many strengths and stands apart from so many other books because of them). There weren’t that many older books that I read that really stood out to me this year, but here are three that did (two of which really are older and one that’s not that old). This is the last book I read in 2012 so it’s still languishing in to the “to-review” pile. It is one of my very favorites this year along with the first three on my 2012 list. Like the short stories I read by Patricia McKillip, this is a book of beautiful prose that is thoughtfully written and full of meaning. 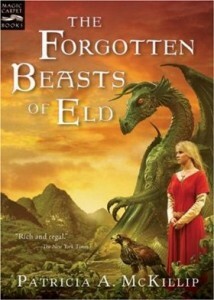 It’s not at all surprising to me that The Forgotten Beasts of Eld won the World Fantasy Award. Translated from Japanese by Cathy Hirano, Dragon Sword and Wind Child is based on a Japanese myth from the Kojiki. It’s a simply told, somewhat quiet story, but I loved the mythical foundation of the book with the long war between Light and Dark. The main character Saya’s bravery and occasional lack of propriety also made her endearing, even if she isn’t one of the deeper characters I’ve read about. I’m almost glad I had a cold earlier this year because my search for a comfort read prompted me to finally pick up the sixth Mercy Thompson book. This was a bit quieter than other installments since it’s so focused on Mercy’s character, but I think that’s why I loved this one so much. It delves more into her roots and her shapeshifting ability, and I enjoyed learning more about these. What were your favorite books you read this year? 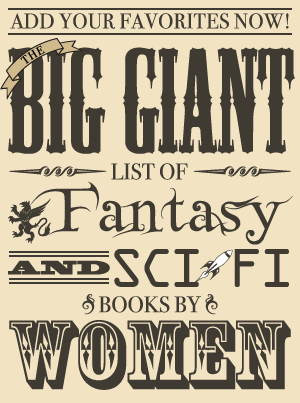 Do you have any reading goals for 2013? I gave up on reading goals for the most part because they’re too restrictive, but I am hoping to read more older books next year by authors I can’t believe I haven’t read yet (like Andre Norton), read more by some authors I keep meaning to read more by (like Patricia McKillip and Tananarive Due), and get caught up on some books I’ve missed by some favorite authors (like Carol Berg’s most recent trilogy). And I’m hoping to read more books this year than last!